By g-stock 2012/07/10 スタッフのBlog, 英語で何ていうの? 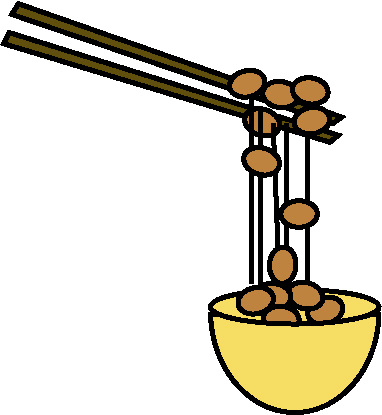 Natto is a traditional Japanese food made from fermented soybeans. It has unique strong smell and flavor and sticky consistency. Natto is traditionally eaten with rice.